Discriminating Home Seekers Desiring the Best! Delightfully decorated and meticulously maintained home in quiet Lakemont Community you’ll be proud to own! Assets of the home include: light and bright kitchen with breakfast bar opens to over-size living room and large added bonus room with a/c, master bedroom suite with separate tub and shower, split bedrooms with walk-in closets, formal living/study can also be converted to a fourth bedroom (per original floor plan), spacious formal dining room, recent paint, tile and handsome laminate hardwoods through-out, high ceilings. Beautifully landscaped front and back yard, tool shed included. Located near shopping mall, schools and recreational centers. 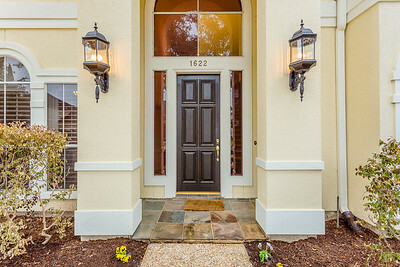 This home has Charm, Location and Convenience and ready for move-in. Schedule today to come see inside this beautiful home! Click here for more information or call 281-558-4114 today! Lakes of Parkway Home Move-in Ready! A Home You’ll Be Proud to Own! Superbly maintained Kickerillo custom home located in intimate cul-de-sac in Prestigious 24 hour manned/gated Lakes of Parkway. Home accents include: foyer with lovely winding staircase, Italian tile floors with granite inserts, over-sized study with french doors, light and airy formal dining, island kitchen with Miele dishwasher, Viking professional gas cook top, living room opens to breakfast and kitchen, master bedroom suite with access to backyard, master bath with natural stone tiles, frameless glass shower, spa tub, spacious bedrooms and closets, high ceilings, unique custom-built large laundry room, plantation shutters, pergola with lightnings, fan and outdoor kitchen, mature landscaped garden, and spacious lot big enough for a pool plus so much more. Come see all the many other advantages this home has to offer. Schedule a showing today! Lakes of Parkway home nestled on a intimate cul-de-sac, featuring: guard gated entrance, excellent floor plan, beautifully landscaped, wood floors & tile on first floor, carpet upstairs, spacious rooms & closets, island kitchen, plantation shutters, home theatre system and over-sized patio ready for the perfect gathering. Come see this beautiful home that is wonderful for you and yours! Visit http://1607KeenenCourt.mydphouse.com for more details.